Since Hair Week will be next week, I wanted to share a few tutes to kick start us. I am so amazed with the talent from our guest bloggers, who you will hear from next week. I am still finalizing the schedule, but will have it up on Saturday night. The tutorial I want to share today is super simple, and oh so perfect for this summer. 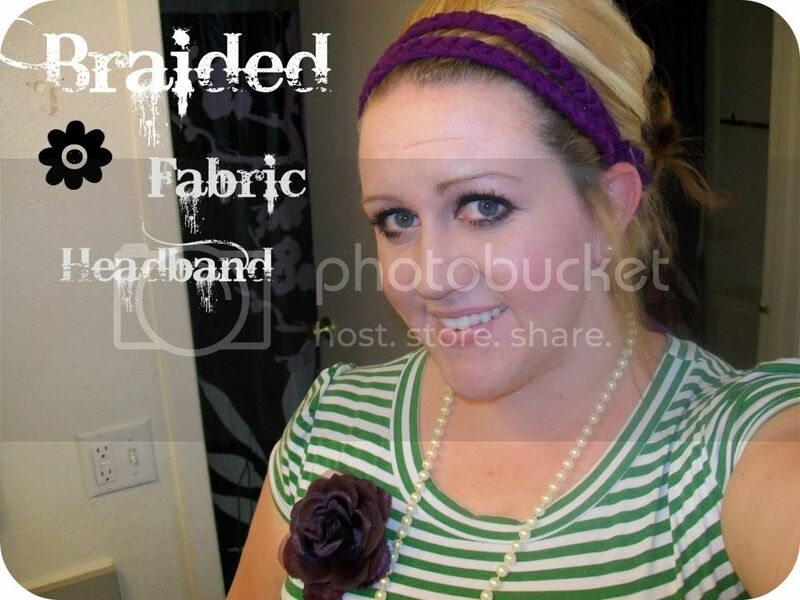 I am a headband kind of gal. I generally wear my hair in some sort of bun or updo thing. 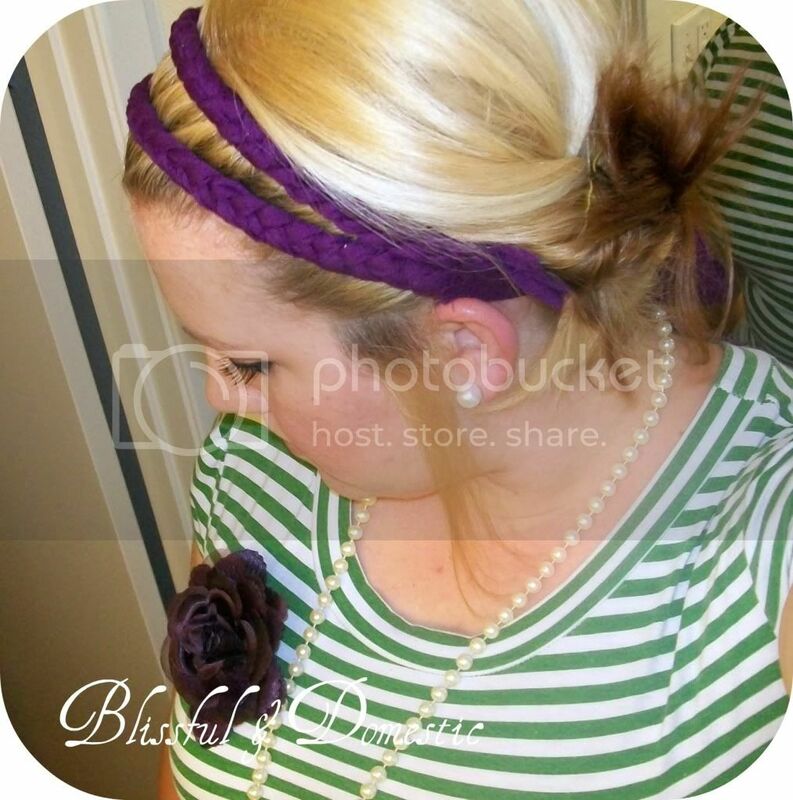 I love headbands because your hair can be in a messy tie thing, but you add a headband and voila you look 100 times more put together. 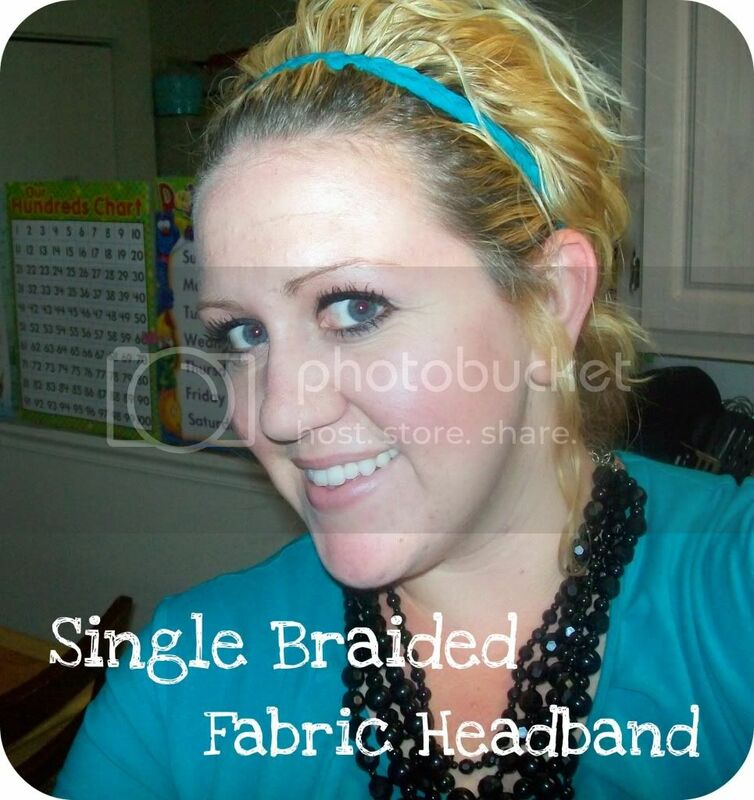 Thus my need for the fabric braided headband. I love it! It takes only scraps of farbic and you can whip one up in just a few minutes. 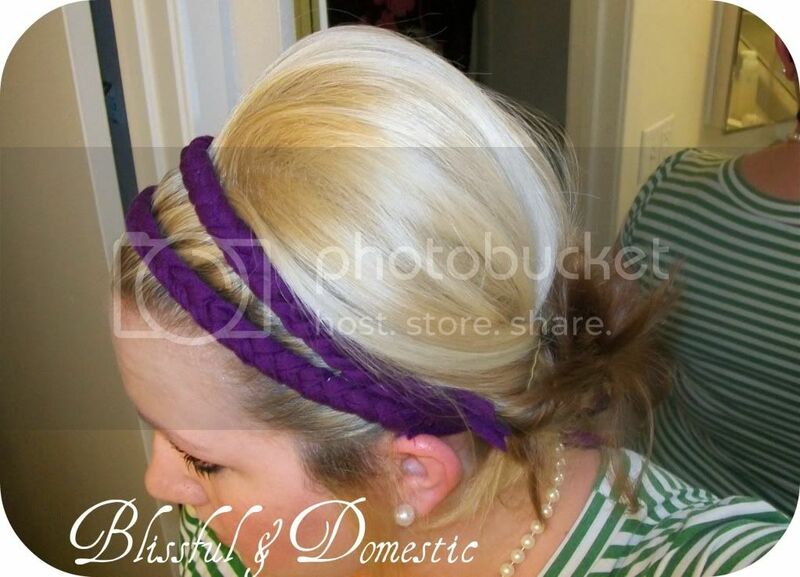 You can choose to do it with one or two braids. Either way it is fabulous! 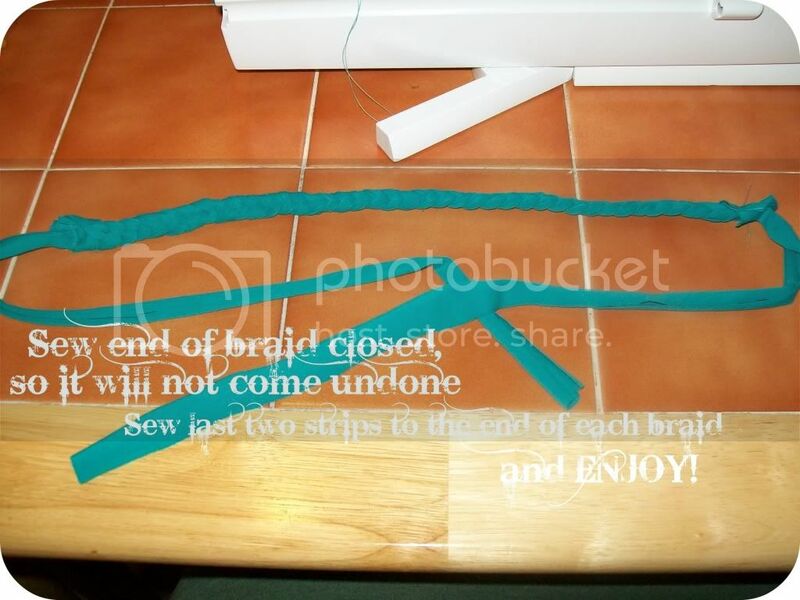 This tutorial will show you how to make a single braided headband, but if you want a double, just make two braided pieces. Real simple, just like I promised. Here is a picture of the single. 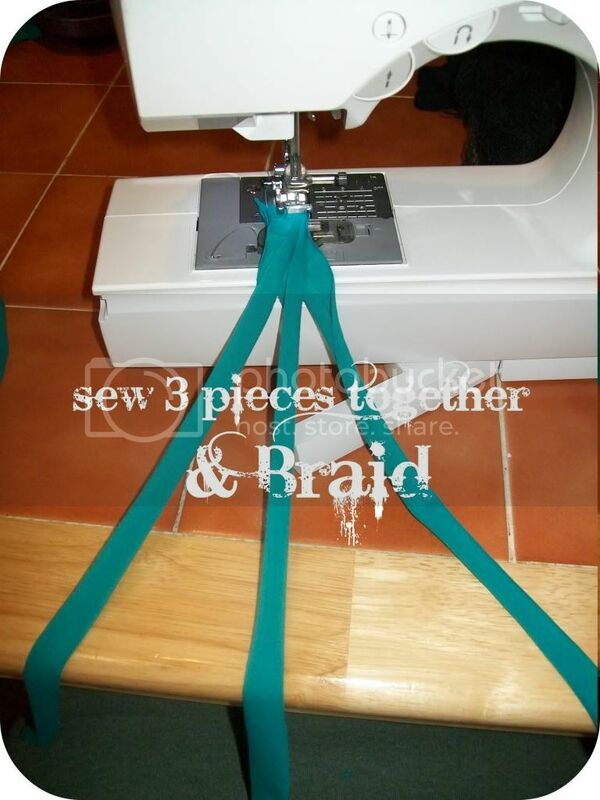 Sew the three pieces together. just so you can turn your fabric towards you. I usually keep the needle and foot down while I braid. 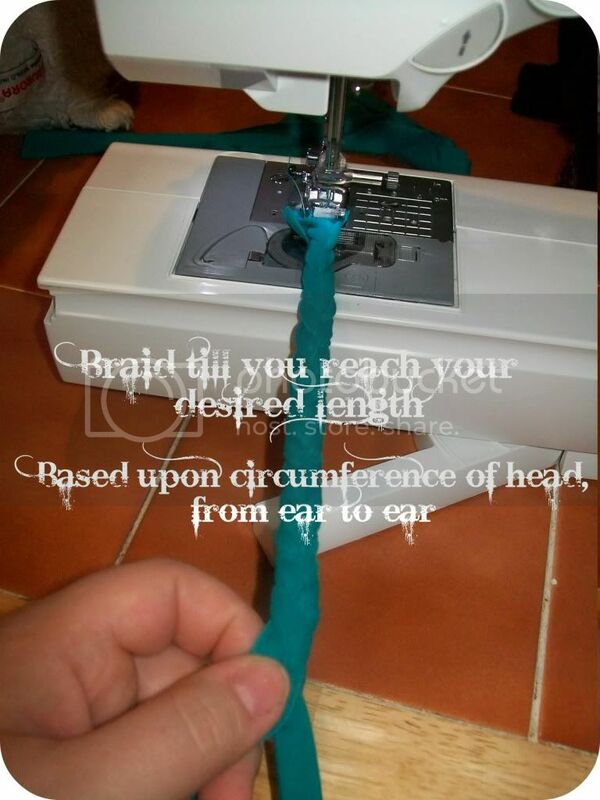 This helps in the braiding process. I don't have to worry about my fabric moving around. "sew on last two strips for your ties on each side and Enjoy!" I am on the fence right now to buy either a sewing machine or bread maker. 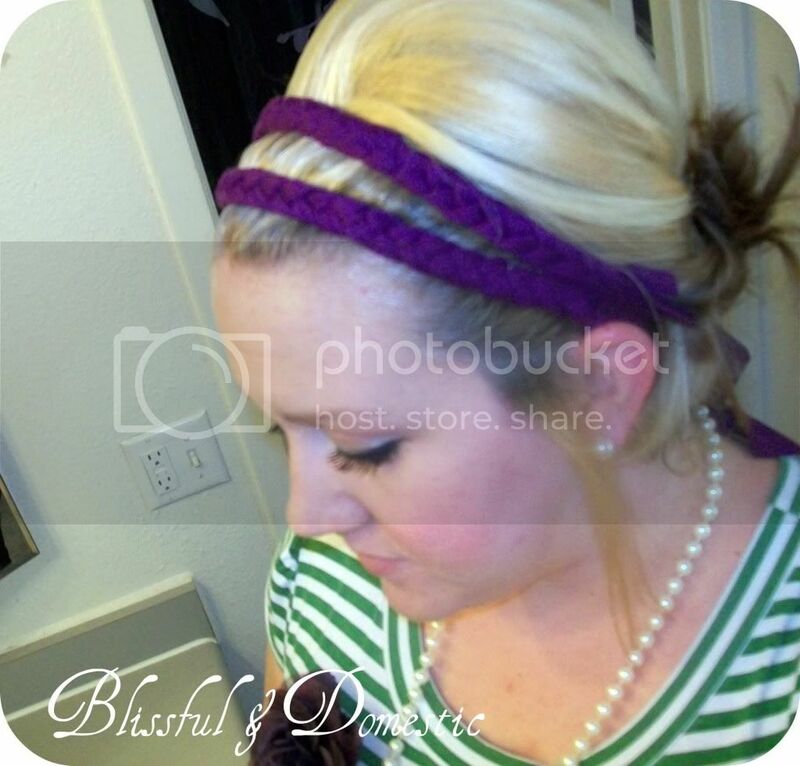 I thought I could make the headband until you came to the sewing part! RATS! Those are SO cute! I am totally not-cool in the hair department, but I can make AND wear those! These turned out so well! I hope to make some for my daughters. 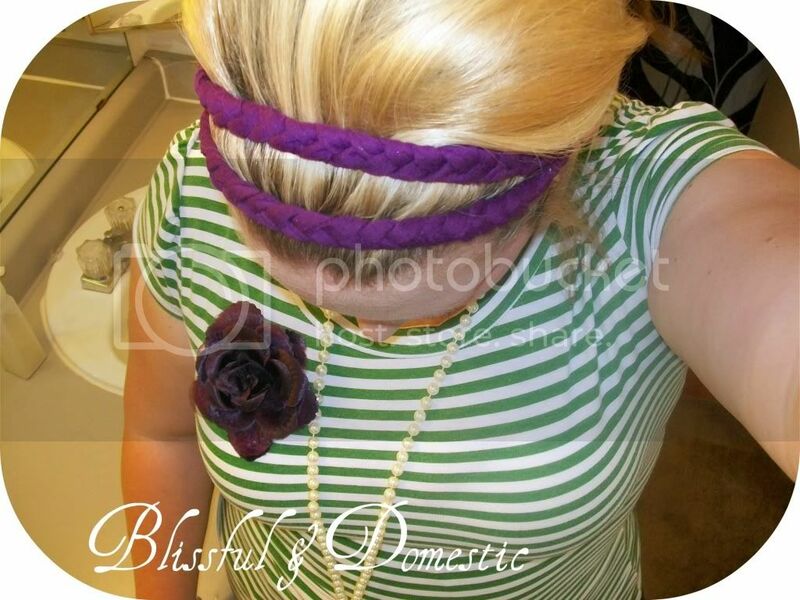 I love headbands and make them often too. I'm a little confused...so you tie on the extra long strips and you have the long strips hanging down your back? 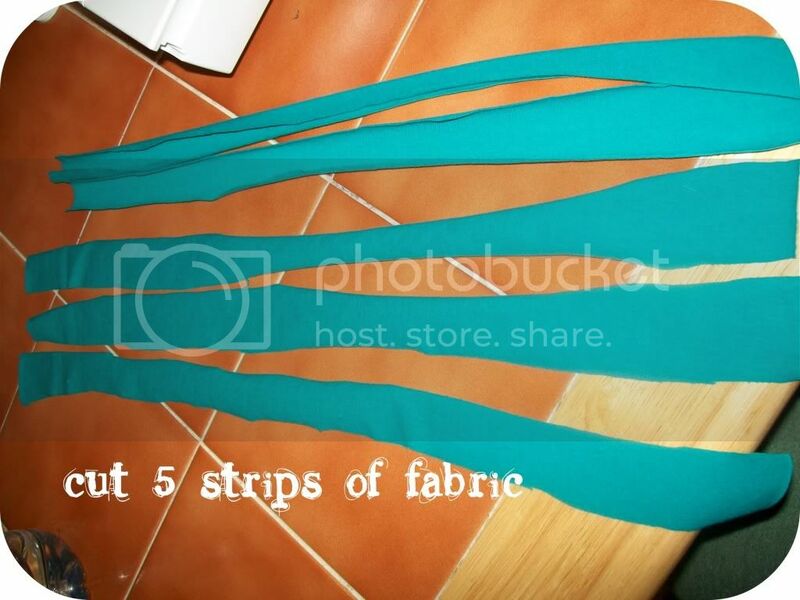 could you use elastic instead of the longer strips? Very cute & simple! Will definitely try this! Thanks for visiting me. I'm your newest follower!